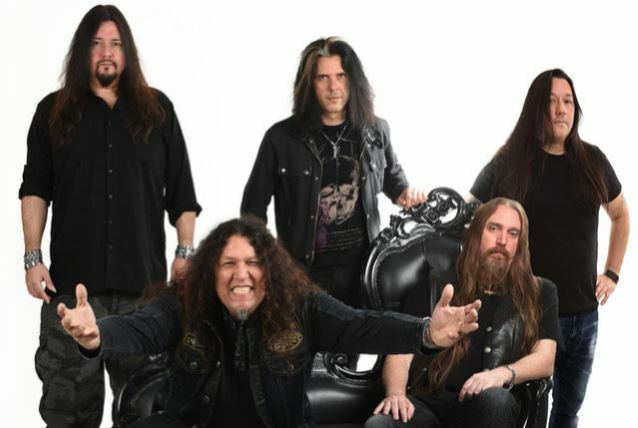 San Francisco Bay Area thrash metal veterans TESTAMENT have launched the countdown for the unveiling of the cover art for their upcoming twelfth album, "The Brotherhood Of The Snake", which will be released on October 28 via Nuclear Blast. The cover artwork was once again created by Eliran Kantor, who has previously worked with ATHEIST, SIGH, ANACRUSIS and GWAR, among others. Check out the first part of the art below. To see more of the record's cover, make sure to visit the band's social media pages daily, starting today. 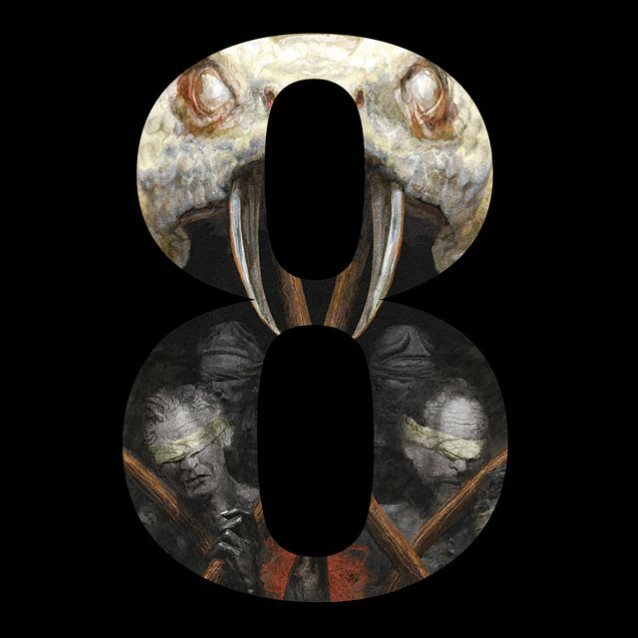 "The Brotherhood Of The Snake" was recorded under the watchful eyes of producer Juan Urteaga (EXODUS, HEATHEN, MACHINE HEAD), guitarist Eric Peterson and singer Chuck Billy and was mixed and mastered by British metal producer Andy Sneap (ACCEPT, ARCH ENEMY, CRADLE OF FILTH, KREATOR, MACHINE HEAD, MEGADETH). Peterson told Kaaos TV about "The Brotherhood Of The Snake": "The only difference on this one is we're trying to be a little bit more organic, and getting away from Andy's perfection sound, and get more of a looser… you know, still keeping the slickness of it, but trying to get a little bit more raw. So it's kind of a hard way to describe it. But we don't want it too perfect. And I didn't record four guitars; I did two this time. So there's a lot more air going on with the rhythms and stuff like that." TESTAMENT will promote "The Brotherhood Of The Snake" by teaming up with AMON AMARTH for a European tour this fall.